Overall, the number of households with two or more cars or vans has up nearly a fifth (18 per cent). Of the 348 local authorities in England and Wales, East Dorset District Council has the highest number of cars and vans per head of population. For every thousand people – men, women and children – living in the East Dorset council area there are 694 cars. 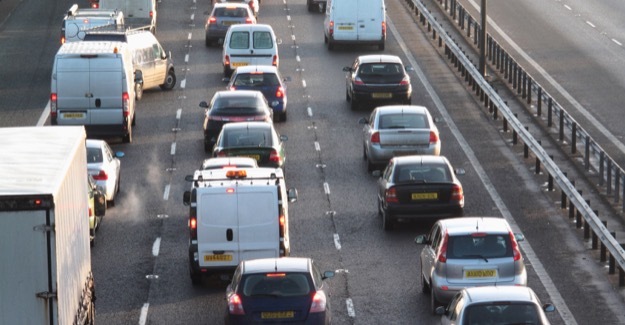 This compares with an average of 487 cars and vans per thousand people across England and Wales as a whole. At the other end of the scale Hackney has the fewest at 170 cars and vans per thousand people. The work also shows that Hart District Council in Hampshire has the highest proportion of households with two or more cars, followed by South Northamptonshire, Surrey Heath and Uttlesford. The data can be viewed by individual local authority by viewing this interactive map. The figures are revealed in analysis by the RAC Foundation of the just-released 2011 Census data and comparison with similar figures from the 2001 Census. Note: The wealth index is based on the percentage of people in higher managerial, administrative and professional occupations.